FasTracKids / Eye Level Learning Center Sheepshead Bay is one of three locations in Brooklyn. At the Sheepshead Bay learning center, located just off Voorhies Avenue, parents trust their children to experienced educators for tutoring, test prep, and a diverse array of academic enrichment programs. FasTracKids takes great pride in developing your child’s lifelong passion for learning with fun and engaging curriculum guaranteed to grow their confidence and critical thinking skills. Dr. Maria Montessori blazed exciting new trails in education when she theorized that students, not teachers, should direct their own educations. Dr. Montessori's approach revolutionized learning, and her namesake style of education has been implemented in preschools, elementary schools, and high schools around the world. Below is a brief introduction to Montessori preschool and the benefits it offers young learners. According to the Montessori method, students learn most by direct experience with the world around them. In a preschool setting, this means exposing the child to a variety of different experiences that cultivate core concepts like critical thinking, confidence, and creativity. Dr. Montessori believed that hearing, moving, seeing, smelling, tasting, and touching were essential to learning and growth, and Montessori-influenced preschools make these activities central to the learning experience. Dr. Montessori had very specific ideas about the role of play in a child's preschool education. 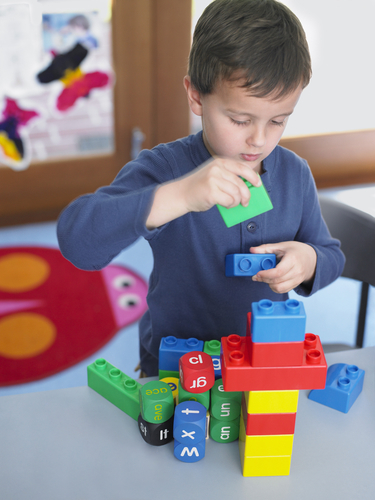 She was less focus on "pretend play" and more focused on play that brings the student into any type of meaningful contact with experience; for example, playing with blocks may be play, but it is also an opportunity for the child to learn. A Montessori preschool places equal emphasis on play and the vital place it has in a youngster's educational journey. Montessori preschools often use a technique of gradual separation called “gentle transition”. This is a way for preschool-aged children to get used to being away from their homes and parents and more comfortable in the classroom. As preschool progresses, these transitional skills will be important to weathering the stresses and changes that come with going on to kindergarten. If you live in the Brooklyn, New York, area, let FasTracKids provide your child with a winning Montessori-style preschool education. They also offer a series of after-school programs, gifted and talented test prep classes, and tutoring services. Call (718) 260-8100, visit them online, or contact them on Facebook or Twitter to enroll your child today.